As soon as the winter arrives, the skin starts getting flaky and dry, the lips get chapped and cracked, cold showers turn in to hot baths and all your skincare products that you use in summers become redundant for the new season. In such scenarios, it is better to go organic instead of buying all the chemical induced products and moisturizers that make your skin greasy and become a major cause of breakouts. We all are aware of the fact that moisturizing more often in winters is super necessary to keep the skin hydrated and fresh but what we forget in the process is a question, “Am I using the right moisturizer for my skin?” We often purchase moisturizers for the sake of keeping our skin moist, but it is essential to make sure that it perfectly suits our skin type. 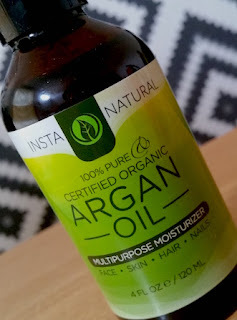 To avoid the entire fret, it is best for you to use Argan oil as a moisturizer. It is perfect for all skin types and keeps a balance in the moisture of the skin. It also prevents acne, lightens spots and makes the skin tighter. Those who have aging signs on their skin can wear an anti-wrinkle face bandage after applying this oil. It gives you quicker and better results. Argan oil is the number 1 choice of all celebrities and known as the ‘Liquid Gold’ for all its endless benefits for hair and skin. We often make it a routine to take hot baths every morning in winters which worsens the texture of our skin and hair both. It leads to more dryness and itchiness all over the body and leaves your hair rough and dead as well. It is better to use lukewarm water or take less number of baths a week. Skin of our hands is the most exposed part of our body and therefore, there are more chances for it to get dull and lose its health way before time. It is vital to give your hands some extra care. We wash our hands a couple of times a day which leaves the skin super dry and affects the complexion at the same time. Therefore, moisturizing them after every time you wash them is vital. Just like hands, lips are also super exposed to the outer atmosphere and they can make you feel conscious about yourself. Therefore, letting them stay cracked and dry can be confidence-shattering for you. Instead of applying a lip balm over and over again striving to keep them hydrated, it is much better to use an effective remedy at home that leaves your lips soft and smooth for a long time without taking the beautiful hue of your lips. All you need is to add two tablespoons of sugar, one tablespoon of honey, one and a half tablespoons of coconut oil and a pinch of ground clove in a bowl. Mix them all well and apply it before you go to sleep so that it gets soaked in well and you get better results. You can store it in a bottle for winter use. Thank you very much to Beth for contributing this incredible post! If you would like to feature a guest post on Beautifinous, please get in touch. What does your winter skincare routine consist of? What are your favourite tips?